Home Misprint SLC/PAC expansion complete in record time! After what felt like a decade, the Student Life Centre/Physical Activities Complex (SLC/PAC) expansion building is finally complete. Approximately 75 per cent of the student population at UW showed up for the opening ceremony; the highest turnout ever recorded for on-campus events. The organizers of the event did not expect this turnout and ran out of food rather quickly. However, there was no decrease or change noticed in student participation after the food was over. Students were given a tour of the building, after which, they were asked to vote on their most and least favourite spots in the building. Ninety per cent of the students voted for the Feds office as their least favourite spot, while the Imprint office won the round for the most favourite one. Fast food pop-ups on the second floor include Lazeez, McDonalds, Chatime, and Pizza-Pizza. Food items will be sold at subsidized prices for UW students. “Students will be given a 50 per cent discount if they show their WatCard,” someone from Feds said. 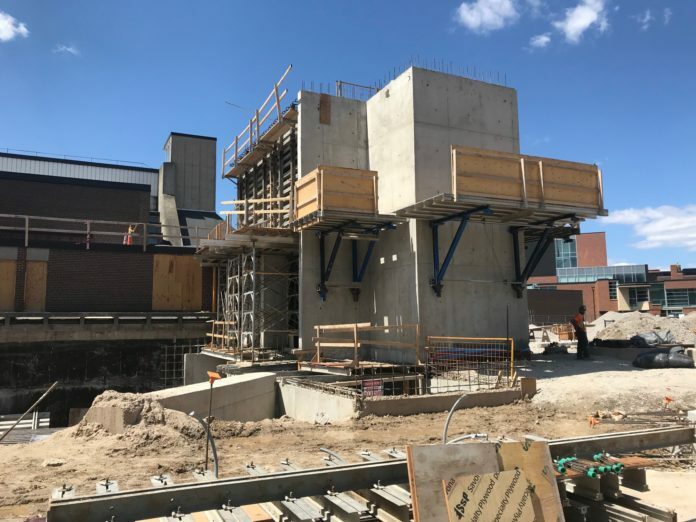 “This way, students will be able to afford good-quality food to fill their stomachs, and we will be able to maintain quorum in our subsequent general meetings.” Campus-based services like GLOW, the Women’s Centre, UW Bike Centre, and Imprint have been given bigger office spaces in the new building. GO busses will stop at the bus stop outside the building. “Students living in on-campus residences like Village 1 and Ron Eydt Village will not have to walk all the way to DC anymore,” the same someone from Feds said. In other news, renovation of the original SLC building will begin on May 5, 2019 and is expected to be completed by December 2024. I got a copyright notice — now what?